Install and customize your chat popup in less than 2 minutes, with color and text customization. "How do you stay friendly and helpful to your customers, while increasing sales at the same time? 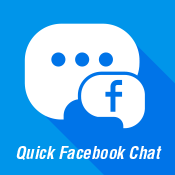 With Facebook Messenger, that's how." Facebook is among the most popular social media sites that customers use. 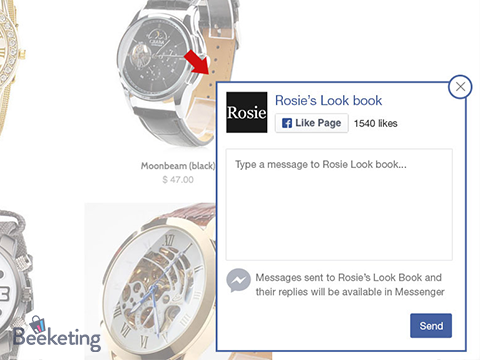 In fact, about 74% of shoppers are frequently active on Facebook. So why not leverage your Facebook account and make it the most friendly customer support channel for your business? 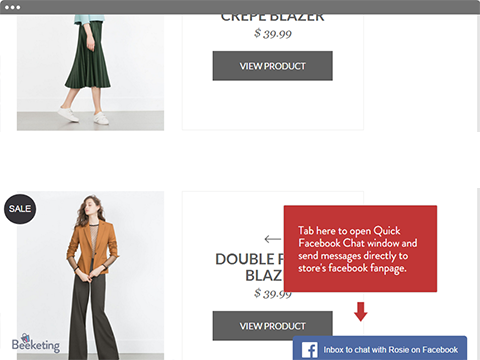 Customers can send messages directly to your Facebook business page inbox by typing into the Quick Facebook Chat window. The conversation will then jump into their personal Facebook messenger. If you use mobile phone, you should use Pages Manager app (for iOS and Android) built by Facebook to receive notifications and reply to customers’ messages.